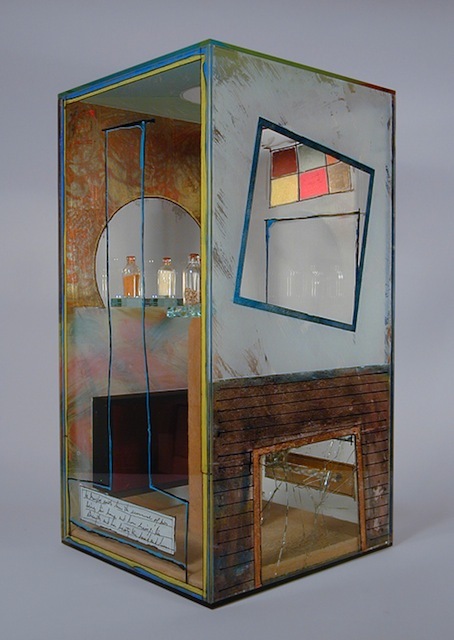 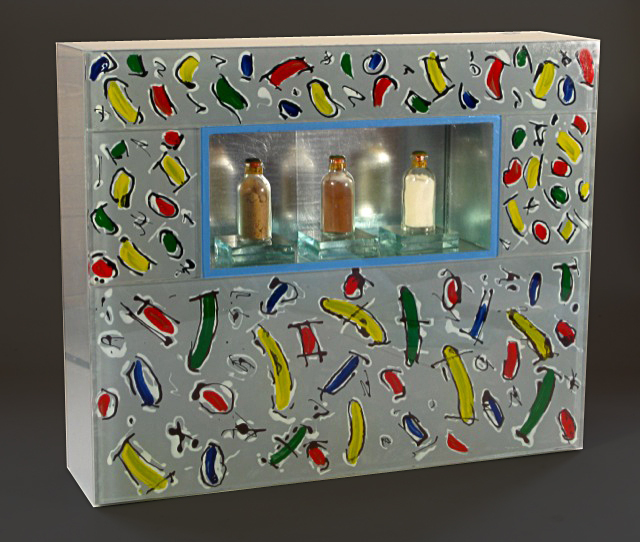 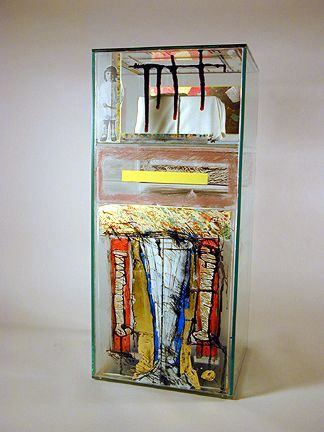 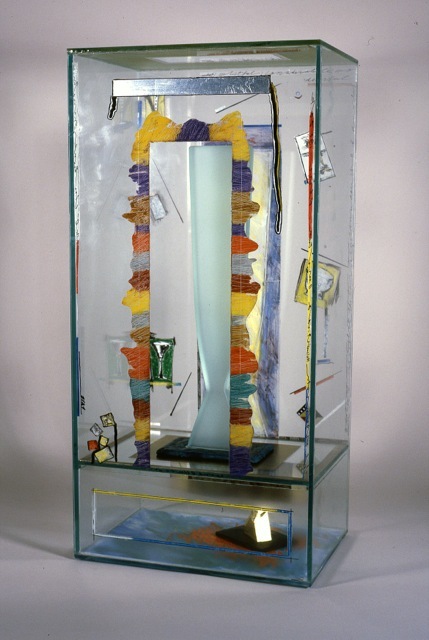 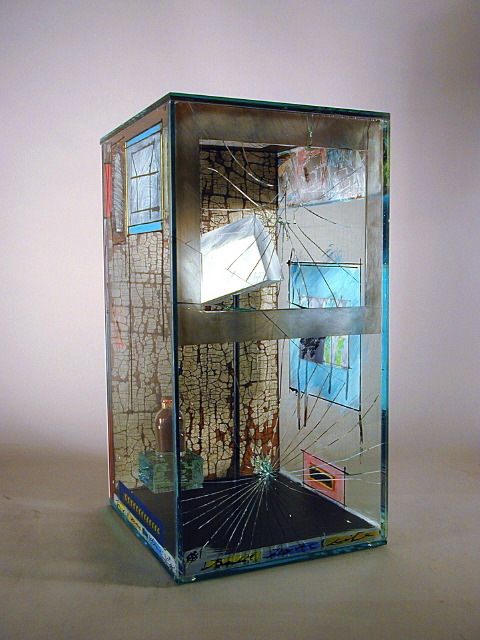 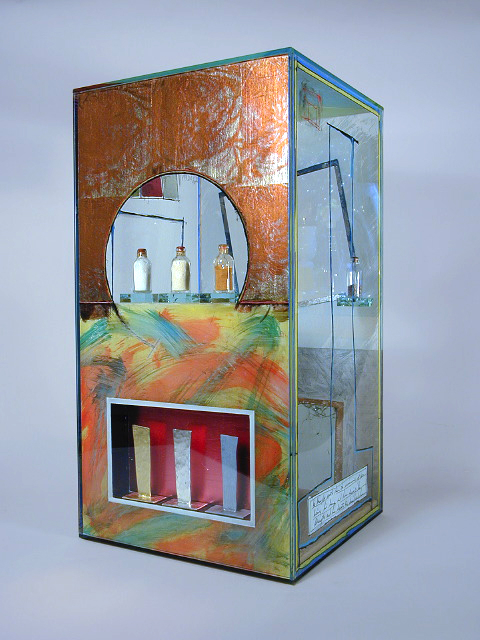 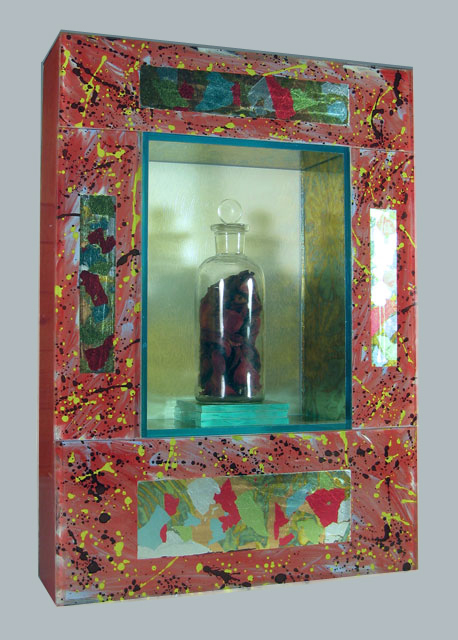 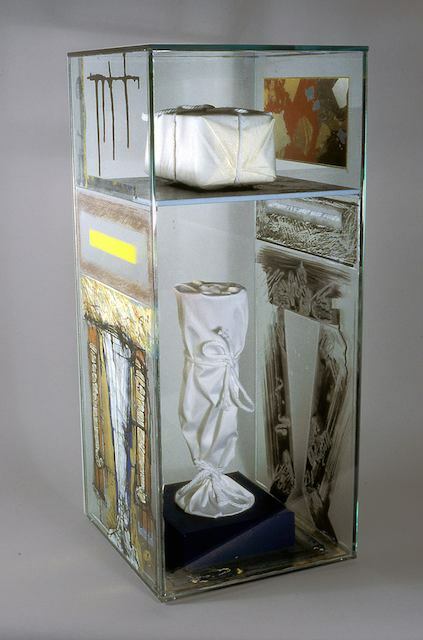 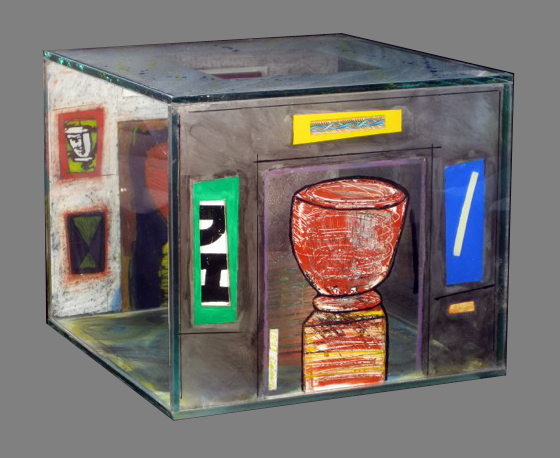 This series of glass boxes has been an ongoing project of mine for a good number of years. 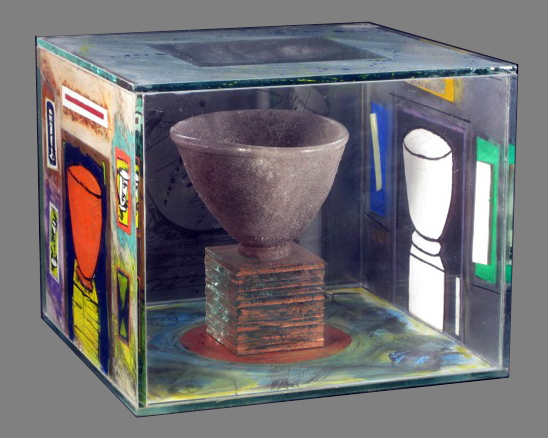 Many but not all of the boxes use the container form as a focus for all the information depicted in the box. 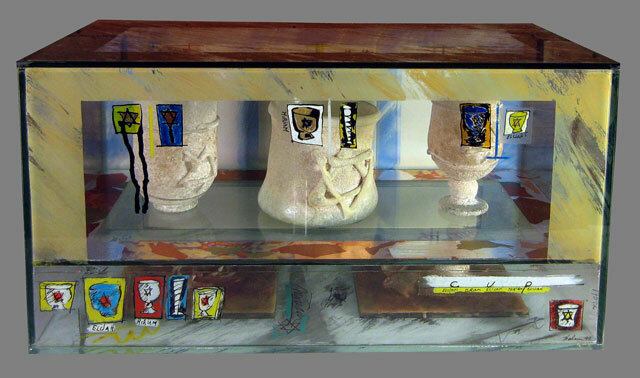 All the boxes are totally sealed. 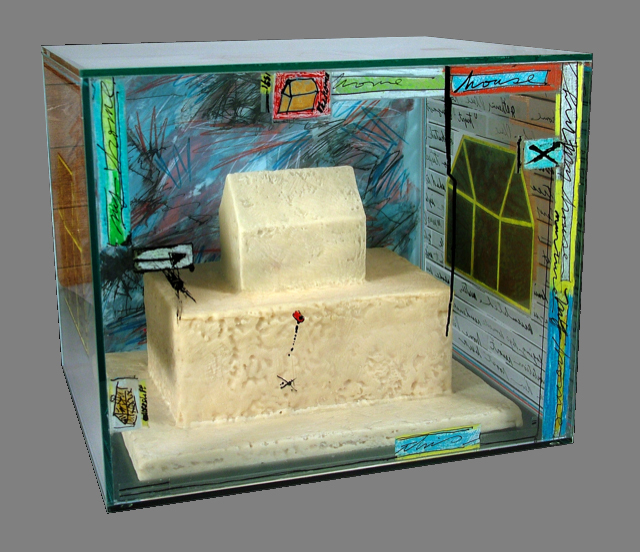 The sealed box heightens the tension one experiences when access is denied. 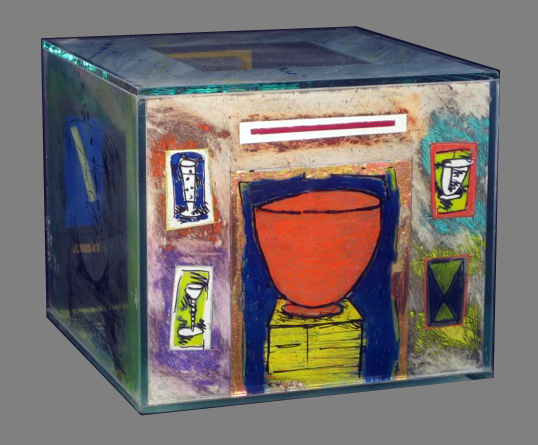 The expression within the works is my expression of how I draw within the context of the object contained in each of the boxes. 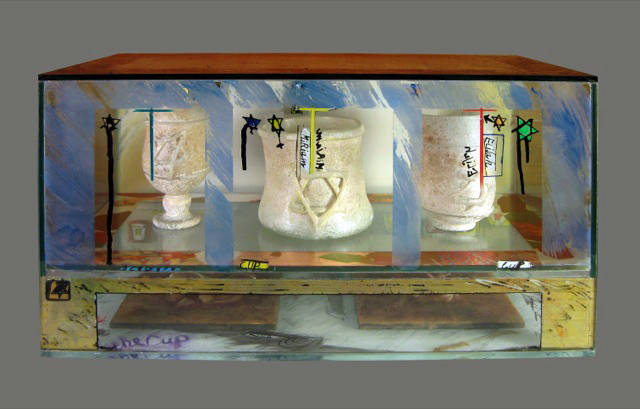 Most if not all the boxes are multi-media insofar as some of the drawings include acrylic colors, oil stick, precious leaf, bees wax, cloth and india ink. 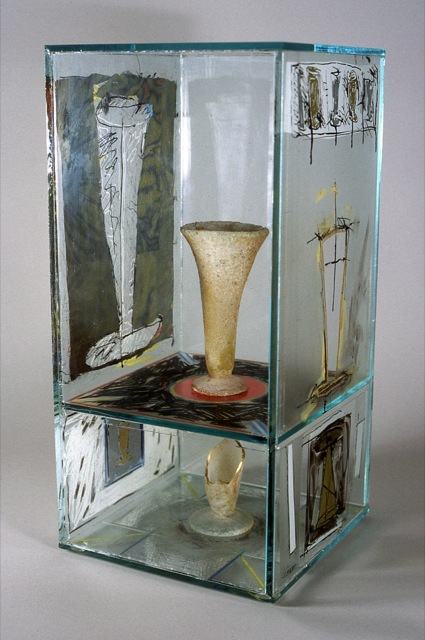 the drawings are on the reverse side of the glass. 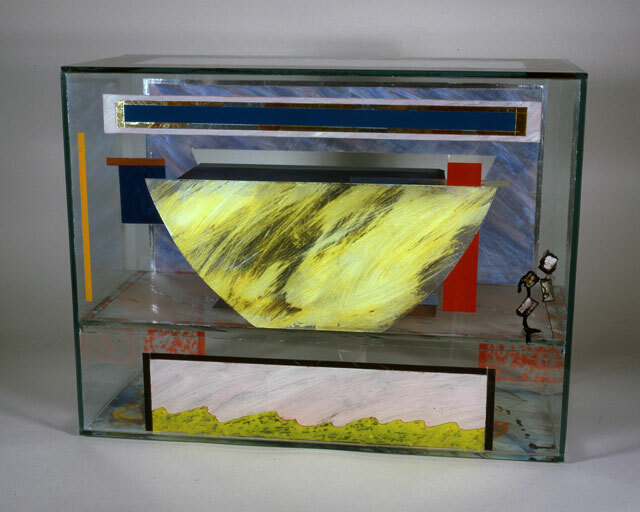 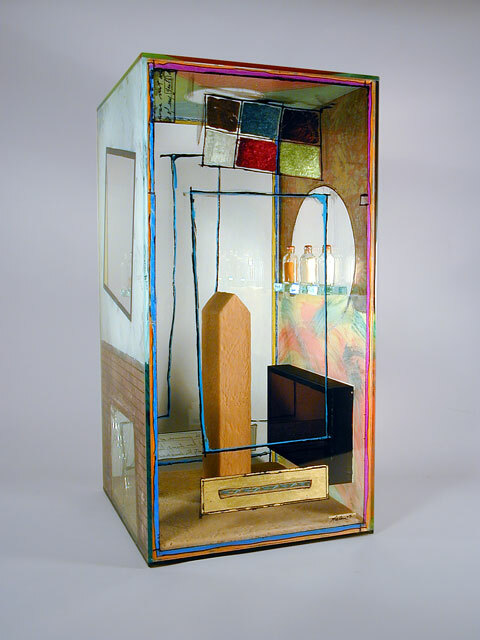 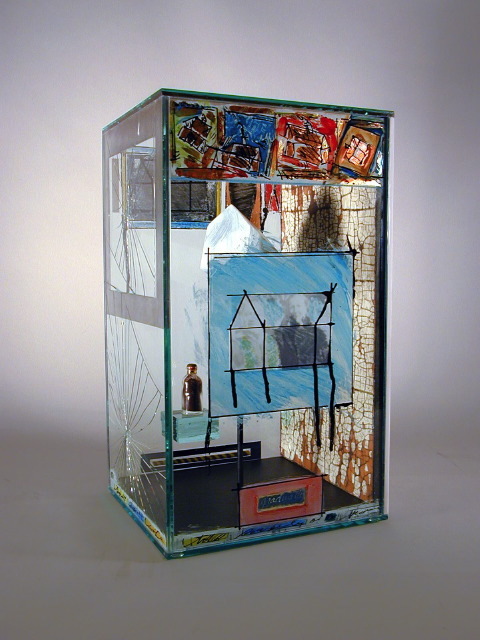 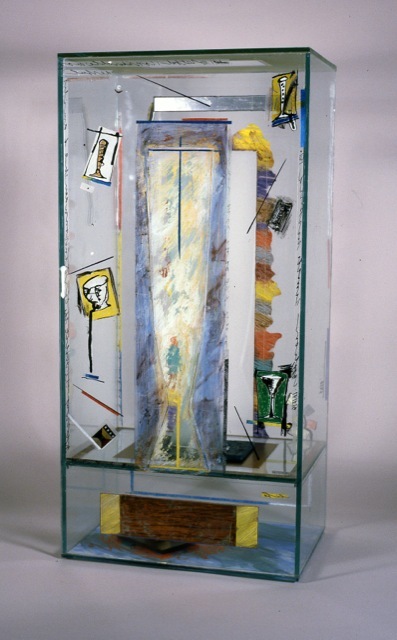 The boxed "Environments" are exercises in composition. 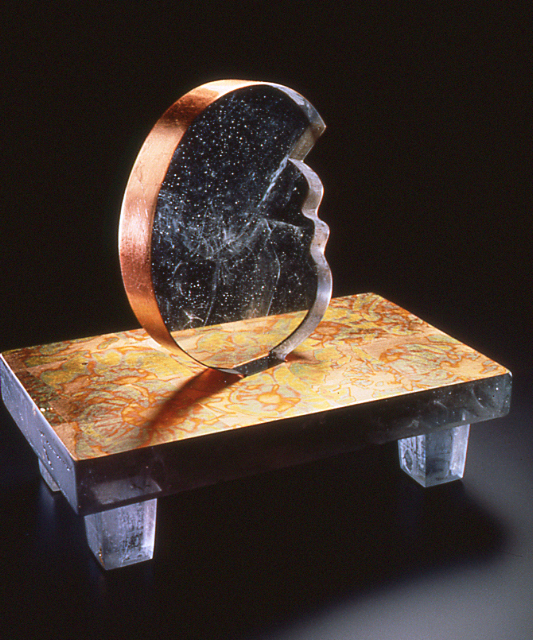 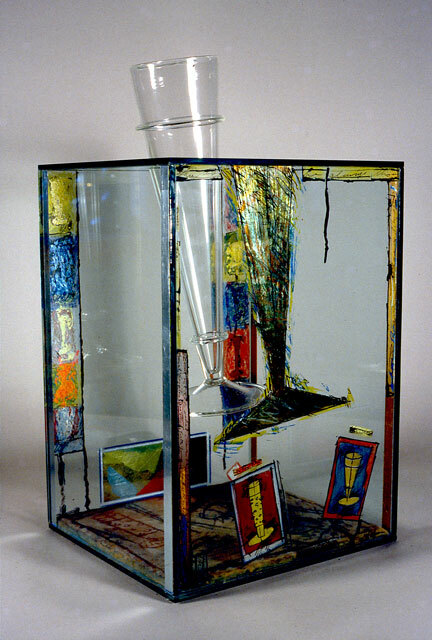 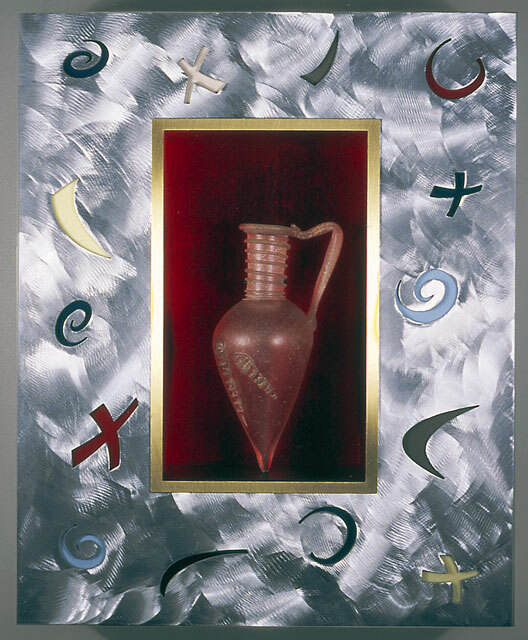 Some are surreal in nature and combine container forms and detritus that one might find in a glass studio. 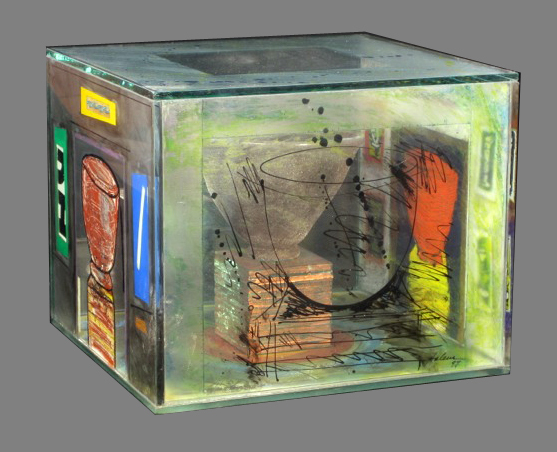 The boxes are meant to be enigmatic, that is, there is no narrative implied. 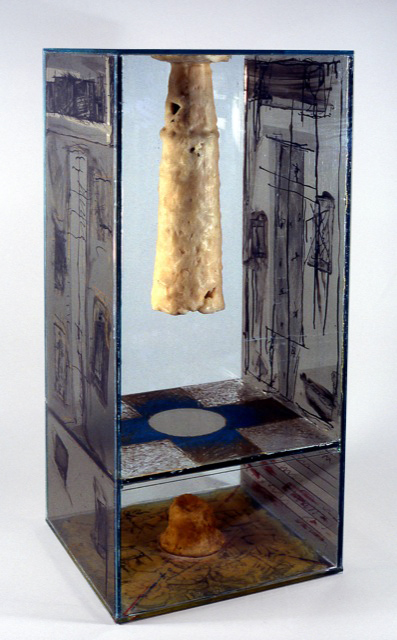 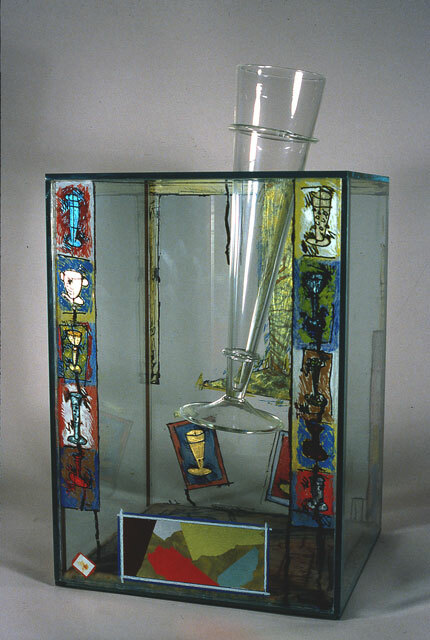 Some of the works are meant to conjure a locked museum case housing objects from dead cultures. 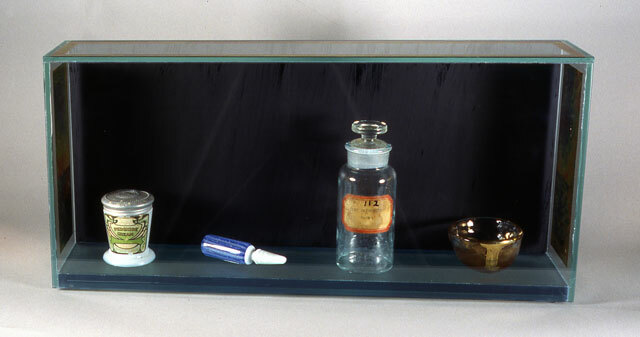 Simple everyday objects locked behind glass take on a preciousness never intended for these particular objects. 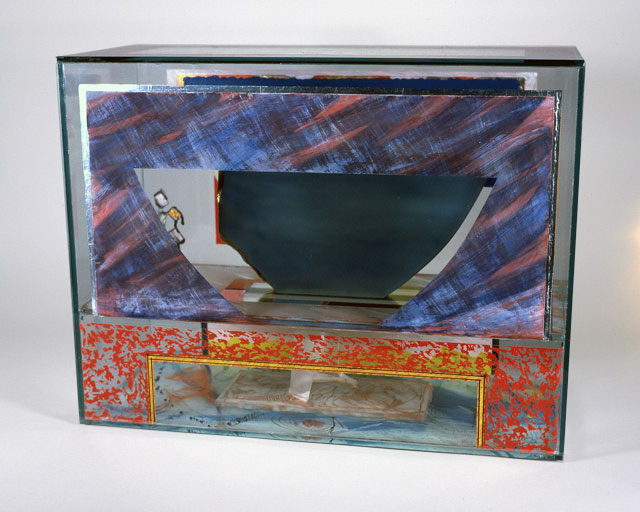 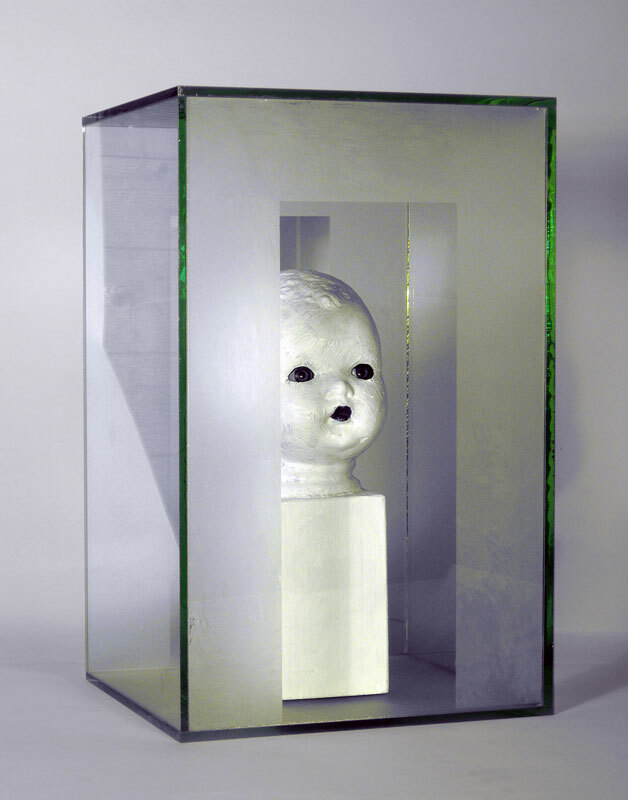 One is first drawn to the central object within the box but soon discovers the canvas that is the plate glass surface.